H&AWOA is one of the community groups involved with Trees Ontario. 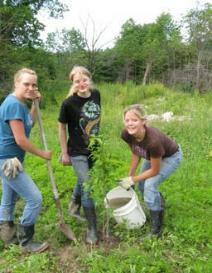 tree seedlings and nuts on 18 properties within Haldimand County. For more info visit our 'Corridor/Tree Planting' page. cooperation with the Haldimand Stewardship Council. 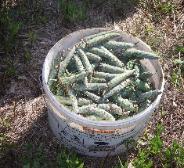 we harvested 83.2 hl of pine cone seeds. That’s 3.5 million seeds! For more info visit our 'White Pine Seed Orchard' page. Grand River meet Lake Erie. SPECIES AT RISK may be in HALDIMAND! you save on your investment.